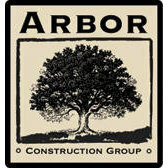 I have had the chance to work with Brian Macuga of Arbor Construction for many home improvement projects. He has brought his extensive knowledge and experience of home construction each time. We have done bathroom and kitchen renovations, which included moving walls and changing floor plans. The last project was a complete over haul of our outdoor living area and a covered porch project. Brian drew impressive plans, kept the project within budget and brought a high quality product to my home. With each project, Brian listened to my ideas and brought more ideas to the table. One of my favorite parts of the renovation was working with his employees, especially Kris!